Congressman Hoyer believes that a Member of Congress’s highest duty is to keep America safe, strengthen our national security, and protect our homeland from attack. He is a leader in Congress on national security issues, has advocated for smarter and stronger policies to step up the fight against terrorist organizations that would do us harm, and remains unwavering in his commitment to the members of our armed services. He is also a strong supporter of investing in programs that adequately equip our first responders for response to potential domestic attacks and increase protections at our ports and borders. Congressman Hoyer has been the lead advocate for Southern Maryland’s military installations at the federal level and was instrumental in the BRAC process in preserving 9,000 jobs at Patuxent River Naval Air Station while adding over 5,000 new jobs; protecting 3,000 jobs at Indian Head Naval Surface Warfare Center; and securing the future of Webster Field, St. Inigoes. 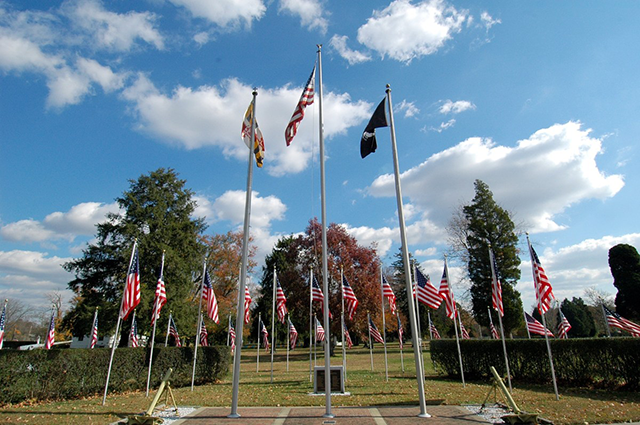 Hoyer has worked closely with the Southern Maryland Navy Alliance, the Indian Head Defense Alliance, the Patuxent Partnership, the Chambers of Commerce and local officials working to ensure that these three military installations are protected. Congressman Hoyer is a strong advocate for our veterans, and has worked tirelessly to ensure that America’s veterans receive the respect, care, and benefits they earned through their service to our nation. While Congressman Hoyer has strongly supported historic increases in funding for the Veterans Administration, improving the quality and efficiency of care in our nation’s VA facilities, he is also a strong proponent of accountability in how the VA spends those resources. Congressman Hoyer worked with the Department of Veterans Affairs Baltimore Regional Office on improving the claims process for Maryland veterans to ensure they receive their benefits in a timely manner and with fewer errors. He is also dedicated to eliminating homelessness among veterans. He worked to secure funding to assist nearly 200 veteran families who are homeless or at risk for homelessness in St. Mary's, Charles, and Calvert Counties. Additionally, he joined the Tri-County Council of Southern Maryland and other stakeholders to ensure an accurate count of the homeless population in the Fifth District, which was critical to receiving additional housing vouchers for homeless veterans. I appreciated the opportunity to visit Naval Air Station Patuxent River this morning and learn more about how Congress can support the important work being done in Southern Maryland. Seventeen years ago, our nation was shaken by the attacks on the World Trade Center, the Pentagon, and Flight 93. This weekend, we mark the one-year anniversary of the vile and violent rally by white supremacists, neo-Nazis, and Alt-Right supporters in Charlottesville, Virginia. The report released today by the GSA Inspector General is extremely alarming. Not only does the report find that GSA inaccurately accounted for the costs associated with keeping the FBI headquarters at the Pennsylvania Avenue site, but it states that GSA Administrator Murphy misled Congress on the White House’s involvement in the project. Today, we mark twenty years since bombings at the U.S. embassies in Nairobi and Dar es Salaam took the lives of twelve Americans and more than 200 local residents. I want to thank Rep. Raskin for his steadfast commitment to safeguarding our nation’s election systems and for introducing this legislation. Today, Congressman Steny H. Hoyer (MD-05), Senator Ben Cardin, a senior member of the Senate Foreign Relations Committee, Senator Chris Van Hollen, and Reps. Elijah E. Cummings, C.A. Dutch Ruppersberger, John P. Sarbanes, Andy Harris, M.D., John K. Delaney, Anthony G. Brown,and Jamie B. Raskin urged Homeland Security Secretary Kirstjen Nielsen to respond favorably to Maryland’s request for technical assistance to review and protect the state’s electoral systems. I was encouraged to learn that a contract has been awarded for the new Community-Based Outpatient Clinic (CBOC) in Charlotte Hall. I appreciated the opportunity to meet with members of the Prince George's County legislative delegation to discuss some of the top issues facing the General Assembly this year.